I’ve been interested in rolls of honour for some time, but up until recently have only ever photographed them. Since information has become more readily available from Archives New Zealand, coming up to the centenary of the First World War, I started looking deeper into a roll of honour in Pt Chevalier, and started finding the stories behind most of the names. Avondale has three WWI rolls of honour, as well as memorials to the fallen in our two cemeteries. Of these, only two are listed on the Auckland War Memorial Museum Cenotaph database at the time of writing (November 2013). These are: the St Jude’s honour tablet displayed in the church entrance (unveiled by Archdeacon MacMurray 21 August 1921, on dedicating a new font and baptistery), and the 1917 Oddfellows board, once displayed at the Oddfellows Hall at St Georges Road, but now hung in the entry foyer at the Avondale RSA on Layard Street. A very solemn function took place on Saturday afternoon in the Avondale Public School, when a memorial tablet in memory of old boys of the school who had given their lives in the great war of 1914-18 was unveiled. The tablet, which is of white marble, was presented by Mr J Binsted and was unveiled by Mrs Binsted. There was a very large attendance of parents and relatives. Mr H A V Bollard, Chairman of the school committee), who presided, said the district owed a deep debt of gratitude to the donor. Kipling's "Recessional" was beautifully sung by the children, under the conductorship of Mr. Gough. Mr. R B Nesbitt (chairman of the Road Board), Mr Darrow (headmaster), Mr J L Scott, and Mr. King (member of the Board of Education) also addressed the audience. The tablet, which was covered with the Union Jack, was unveiled by Mrs. Binsted while the children sang the beautiful hymn "Abide With Me." The tablet is nicely mounted in rimu in the design of the setting sun, by Mr H Spargo. The tablet is headed: "In memory of the brave boys who gave their lives in the great war, 1914-18." Originally there were 33 names on the plaque all in alphabetical order: two further names, J T Lilley and H W Cox were added later. The rimu board had gone by the time I came to know the board after the demolition of the old school buildings (1971-1972), while it was displayed in the window of what had once been the confectioner’s shop on Layard Street, part of the RSA clubrooms. Today, unfortunately, it has also been badly cracked. The names on the marble are mainly those who were former pupils of Avondale School, even if only for two of three years back in the 1890s as their families passed through from others places. Sometimes, though, there appear to be names from those families living in or near the area, whether on the school rolls or not. I’m still waiting for more of the military files held at Archives New Zealand to become available, as well as opportunity to do more research via Papers Past and the BDM records, but here are some of the stories behind the names. According to the early rolls for Avondale School, Vernon, Grace and Kenneth Aimer attended standards classes at Avondale School from March 1897 to June 1899, children of Edmund Baxter Aimer and Annie Elizabeth née Feek. The Aimers were living at the Hokianga in 1884, Dargaville c.1888, then Drury by 1895. They must have spent a couple of years here, before moving on to the city and Parnell. Vernon Aimer was a clerk for Cahill & Co from when he was around 14 years old. At the age of 16, he came into strife with a youthful indiscretion when he was found guilty of breaking and entering his employers’ premises in 1903, and served a 12 month sentence. From that low point though he bounced right back. Lieutenant George Vernon Aimer, a member of the Royal Flying Corps, who was accidentally killed whilst flying near London on June 22, was the eldest son of Mr and Mrs C B [sic] Aimer, of St. Stephen’s Avenue, Parnell. He was born in Hokianga in 1886, and was educated in Auckland. For a time he was employed in the Government Forestry Department at Rotorua, subsequently taking a position in Fiji. Shortly after returning to Auckland, in 1910, he entered the service of the Bank of New Zealand as correspondence clerk, a position he held for about five years. In August of last year he obtained extended leave of absence, and proceeded to England for health reasons. After a short time in hospital he offered his services to the War Office, but they were not accepted, owing to the state of his health. 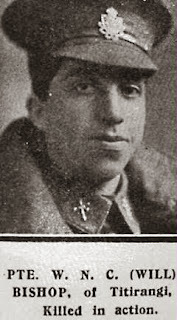 Lieutenant Aimer then studied aviation, and after qualifying for his pilot's certificate, was appointed an instructor at the London Provincial Aviation Co.'s School. Later he again offered his services to the military authorities, and was given a commission in the Royal Flying Corps. Since then he had been through a course of instruction in army work at Oxford, and it is believed was receiving further training at one of the War Office's aerodromes when he met with the unfortunate accident which resulted in his death. When in Auckland the late lieutenant was very popular in athletic circles, and had at different times, over a period of eight years, been a member of the St. George's Rowing Club, part of which time he was captain. A brother, Trooper Alexander Goven Aimer, left for the front with the thirteenth reinforcements. His brother Kenneth Aimer who also went to school here in the 1890s and served during the war went on to be come a well-known architect, and part of the partnership of Grierson, Aimer and Draffin who designed the Auckland War Memorial Museum in the 1920s. Eric attended Avondale School’s standards classes June 1902 to June 1904, a son of John E Astley. 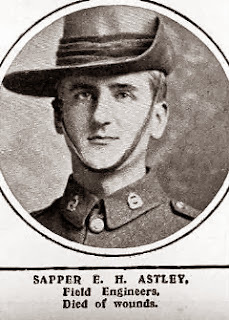 He died at Gallipoli from wounds in June 1915. William Bishop was briefly at Avondale School, for about a month, at the end of 1910. His brother John has here a bit longer, 6 months in 1906. They were members of the Bishop family of Titirangi. 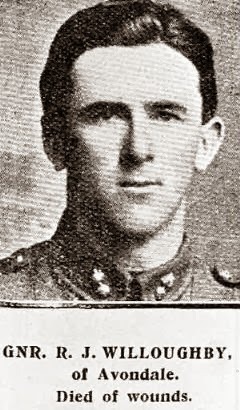 Private W N C Bishop, who was killed in action on May 25, was the youngest of the three sons of Mr J J Bishop, of Dunvegan, Titirangi, all of whom volunteered for active service. Private Bishop. who was 21 years of age, was educated at the Titirangi and Avondale public at the Auckland Grammar School. As a lad of 17 he entered the service of the Postal Department in Wellington four years ago, and subsequently was transferred to Auckland. He enlisted on attaining his twentieth birthday, and left with the twenty-eighth reinforcements less than a year ago. 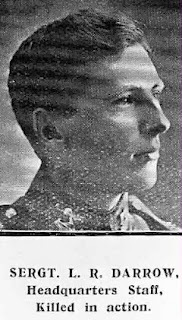 His eldest brother Lieutenant J J Bishop, of the thirteenth reinforcements, was killed in action in October 1st whilst leading his men with great gallantry during the severe fighting in Flanders. 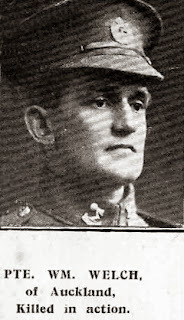 Sergeant T A Bishop, the only surviving brother, who left with the twelfth reinforcements, has been serving on the western front for the past year. Son of William Allen Bollard of Moray Place, Dunedin, and Harriet Bollard nee Sankey. He was presumed missing, later declared killed in action by shell fire in France in 1916. His mother Harriet died the year he was born, in 1893, and is buried at the George Maxwell Memorial Cemetery with the Bollards. William Allen Bollard (1869-1941) was a landscape artist, and third son of John Bollard of Avondale. The Brookes family lived on New Windsor Road. Ewen attended the Standards classes at Avondale 1901-1906. When he signed up he was a clerk working for Winstones Ltd. He was killed in action October 1916. He attended Avondale School’s standards classes in 1904. His parents John and Mary Burrow lived on New Windsor Road. Mary and three of her children are buried at St Ninians cemetery. Wallis was a cabinetmaker when he signed up in 1917. He died of wounds in January 1918. The Catton family lived in the Avondale/Blockhouse Bay area from c.1900-1905. 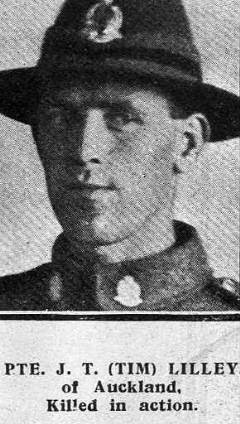 Charles was a farmhand working in Russell when he joined the army, and was killed in action September 1916. Also known as Thomas Matthew Charles. Born in Tikorangi, Taranaki in 1892. Only very briefly at Avondale School during the standards classes in 1904, he went to a Catholic school after that. His father Thomas Charles lived in Victoria Road (now Victor Street) and Kitchener Road (Holly Street). Another cabinetmaker before he joined the army, working in Napier. He started out as a sapper with the field engineers, and was promoted to Lance Corporal 25 September 1915. Killed in action at Gallipoli, a week later. Son of Albert Crum, owner and manager of the NZ Brick, Tile and Pottery Company at New Lynn. The family moved to New Lynn in 1905 from Ashburton, and Fred (born 1895) attended Avondale School from 1906-1908, when he went off to grammar school. When he signed up, he was working at the family business in New Lynn, as a brickmaker. He died of wounds in May 1917. From The News 28 August 1915. Leslie Rotorua “Roto” Darrow was born in 1893. His brother was Harry Alexander Darrow, during the war Avondale School’s head master. Roto Darrow enlisted in 1914 at the school. 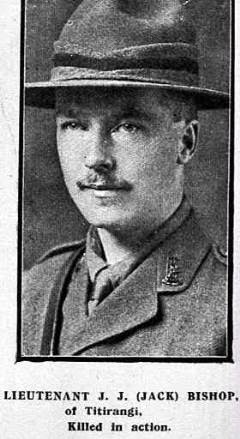 He embarked 16 October 1914, headed for Suez and Egypt, and then on to Gallipoli. His last unit was the Headquarters of the New Zealand Infantry Brigade. He was killed in action 10 August 1915, aged 22. The folks back home at Avondale, reading his letter in The News, would have had no idea that he had died two and a half weeks earlier. Another connection with Albert Crum’s brickworks at New Lynn — Bertram was a brickmaker when he enlisted in August 1914. The Denyers are a family that goes right back to the 1860s in terms of Avondale and New Lynn. He went missing at Gallipoli May 1915, and was later declared dead after a court of inquiry. His father, Philip John Filleul, was a farmer on Rosebank from the 1890s (7 acres) and died 1919. His mother, Louisa Maud Mary Filleul, died 25 October 1914, aged 57. Both parents were buried at Rosebank. The Filleuls grew lemons — at the time the estate was sold after Philip Filleul’s death, there were around 100 commercial lemon trees on the property. Reginald was a farmer in his own right when he enlisted in 1916, at first with the Mounted Rifles. From October 1916 however, he was with the 2nd NZ Camel Company, and fought against the troops of the Ottoman Empire in the deserts of Suez and Palestine. He took part in the Battle of Beersheba in 1917, and died from his wounds at Abbassia in Egypt. His father Benjamin Harding Fransham was associated with Avondale from c.1892, and lived on Rosebank Road as at 1893. By 1906, he owned land just beyond the Victoria Hall, and also fronting much of Orchard Street. In 1902, there was a sad tragedy for the family. Yesterday morning Mr T Gresham, city coroner, held an inquest at Avondale on the body of an infant girl named Ivy Victoria Fransham, the daughter of Mr Benjamin Fransham, market gardener. Mrs Fransham gave evidence that the child who was 8½ months old, had been given a plum by one of her sisters, and that the child had been accidentally choked by the stone. Witness extracted the stone from the baby’s throat, but by that time the child was quite dead. Dr de Clive Lowe also gave evidence, and said the cause of death was asphyxia, caused by the plum-stone getting into the upper air passage, and a verdict was returned accordingly. 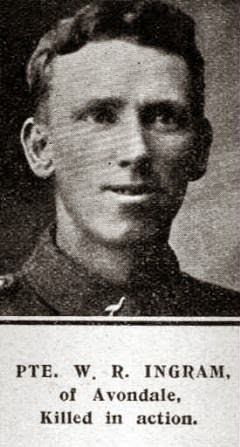 Private Stanley Benjamin Fransham, who died of wounds on June 7, was the second son of Mr and Mrs Fransham, of Whitford, and was 20 years of age. He was born and educated at Avondale. Prior to his enlistment he was farming at Te Rore, Pirongia. Private Raymond Harden Fransham, admitted to hospital, June 10, suffering from slight gunshot wounds in the face, is the eldest son of Mr. Fransham, of Whitford. At the time of his enlistment he was engaged on his father's farm at Whitford. With his younger brother Stanley, he went into camp in May, 1916. On arrival in England both he and his brother joined the Machine Corps, and after four months' training they went to France. Private Fransham was born in Avondale 22 years ago. Raymond Fransham survived, and died in 1969 at the age of 74. Son of William and Annie Ingram. His name is included on the family headstone at St Ninians Cemetery, killed in action Passchendaele, 4 October 1917, aged 36. The Hastie family were associated with Avondale from c.1901. George Hastie worked as a brickmaker at Avondale works c.1902. John Hastie attended Avondale School June 1900 to June 1904. 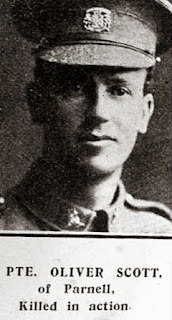 At the moment, he doesn’t seem to have direct connection with Avondale, having only arrived from England two years before he enlisted, but he was on the staff at Mt Eden School. Perhaps he was at Avondale at some point? He died when the transport Marquette was sunk in the Aegean Sea in 1915. Donald Lane was a former pupil at Avondale School. Henry Frederick Lees (Harry), son of John & Edith Lees, Brown St, Avondale. Died 1 Sept 1918 in France. Also on St Judes memorial. His mother Agnes Templeton McCrae lived Saint Georges Road, Avondale. He also appears on the Oddfellows Roll of Honour. Before he enlisted he worked as a leather worker. Died 6 May 1918. His mother Mrs E. McDonald lived on Rosebank Road, Avondale. Before he enlisted, Herman worked as a mattressmaker. 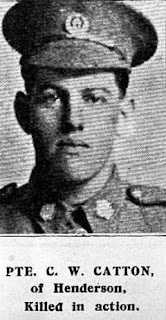 He embarked 25 Sept 1916 as part of the 17th Reinforcements Auckland Infantry Battalion, A Company, and died 30 March 1918, at the Somme. The marble roll has “R McLean”, but I can find no one so far matching that initial. However Kenzie McLean was a son of Alexander & Isabella McLean of Rosebank Road. 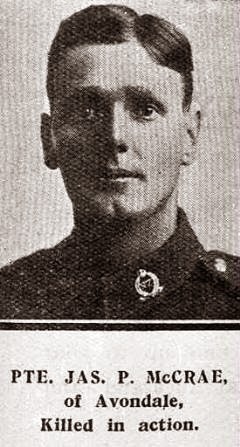 Kenzie was killed in action on the Somme in July 1916. Son of William and Charlotte Jane McLean, Brown Street, Avondale. 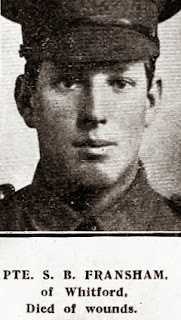 Died 6 October 1917, Ypres, Belgium. Son of William Myers of Roberton Road, Avondale. 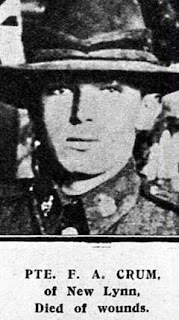 He was a roading contractor before enlistment in 1917, and died 30 September 1918 in France, from wounds. Still waiting for more information. Son of William and Sarah Ann Porritt. William Porritt was selling “Leicester socks and stockings” from Waterview in 1890. He came from Bradford in England. Around 1894 he shifted to New North Road in Mt Albert. When Jonathan enlisted in 1917, he was employed as a bridge builder with NZ Railways. He was with the 23rd Reinforcements New Zealand Field Artillery when he died Christmas Eve 1917, Ypres, Belgium. Son of John Lyons Scott, the head teacher at Avondale School from 1882-1894. J L Scott was present at the unveiling of the marble plaque in 1919. Private Oliver Scott, better known as Tommy Scott, killed in action, was a son of Mr J L Scott, a former headmaster of the Parnell school. He was educated at the Parnell school, the Auckland Grammar School, and the Auckland University College. He entered the Grammar School on a foundation scholarship, and matriculated in 1902. He passed the first section of the Bachelor of Commerce degree examination, but owing to failing health was not able to complete the examination. Afterwards he entered the employ of the AMP Society, and at the time of big enlistment occupied the position of cashier in the Auckland branch. The late Private Scott was a member of the University Hockey Club, and of the St. George's Rowing Club. Attended Avondale School 1899-1900. His father was Thomas J B Stewart of Mt Albert. He was a seaman before enlistment; coincidentally, he died “of illness, at sea”, aged 28, on the way home in November 1919. Attended Avondale School from 1909-1911, “son of Clara Jacobson (formerly Tarlin), of Titirangi, Auckland, New Zealand, and the late Alfred Tarlin” according to Cenotaph. 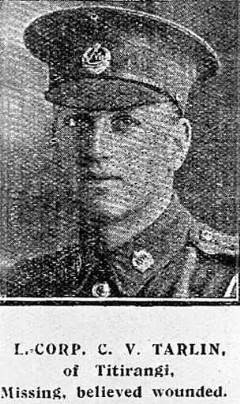 He died serving with the 16th Reinforcements Auckland Infantry Battalion, A Company, 22 Feb 1917, in France. During their final leave, which was spent at their homes at Titirangi and surrounding districts, Lance-Corporal C B Tarlin and Privates F Shaw, E Williams, and J Kilgour, all members of the sixteenth reinforcements, were entertained at a largely-attended social evening and dance at Titirangi by Mr and Mrs J J Bishop. The dance was held in Shaw's Hall, whilst the supper, which was most tastefully laid out, was given in the tea kiosk. The toast of the guests was proposed by Mr H Wallace, and responded to by Lance-Corporal Tarlin. The toast, as well as that of “Our Absent Boys”, was enthusiastically honoured. The health of the host and hostess was proposed by Mr I E Williams, and acknowledged by Mr Bishop. The gathering was of a most successful character. Corporal C V Tarlin, who died of wounds whilst a prisoner of war in Germany, enlisted from Titirangi. He was the son of the late Mr A J Tarlin and Mrs M F Jacobson, and was a grandson of the late Mrs E S Taylor. He went to the war when considerably under military age, and at the time of his death in February last was only 19 years and eight months old. He was at first reported missing, but after considerable lapse of time it was reported that he was a prisoner of war. Subsequently it was ascertained that he died of wounds shortly after his admission to the prison camp. Corporal Clarence V Tarlin, died of wounds at Lemburg, Germany, was the son of the late Gunner A J Tarlin of Devonport and Mrs Jacobson of Titirangi. He was born in Auckland, and educated at the Auckland Grammar School. Prior to enlisting with the 16th Reinforcements he was in the employ of the Auckland City Council water works [at Titirangi]. He was the son of Philip and Ann Vercoe of New Windsor Road. Norman was born in Blenheim. The family were at Kaihu before 1907, and Norman attended Avondale School 1907-1910. 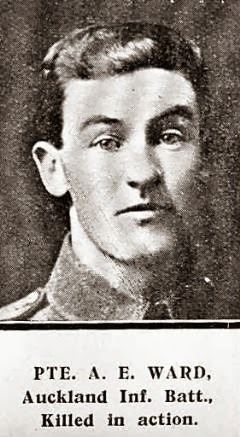 He served with the 16th Reinforcements Auckland Infantry Battalion, A Company, and survived the war, only to die 5 June 1919 after discharge from the NZEF from wounds inflicted or disease contracted while on active service. Buried Waikumete Cemetery. At Avondale School 1897-1901. Father noted on school roll as Edgar William Ward. Enlisted from Grove Road, Edendale (Sandringham), Auckland Infantry Battalion. Died 8 August 1915, killed in action, at Gallipoli. The son of John and Jane Anne Welch, of 20 Livingstone St., Auckland, although John Welch was in Avondale from c.1887. 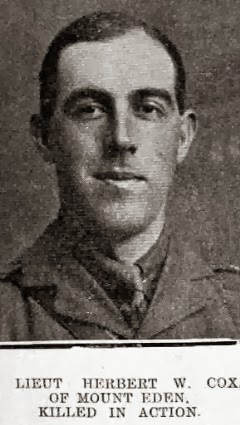 William served at Gallipoli, but died 18 September 1916, at the Somme. The son of William and Lillian S Willoughby, of Canal Rd., Avondale. The family came from Paeroa; Robert was in Avondale School only in 1908, then he went to work. He was a farmer before he enlisted. Herbert Slade and Robert Willoughby (Mr. Matthews) were charged with having removed sign posts, the property of the Avondale Road Board. After evidence had been heard at length Slade was fined 10s ordered to pay all witnesses' expenses, amounting to 22s, and half the damage, 4s 6d. Willoughby was fined 10s, and was ordered to pay 4s 6d, half the damages incurred. 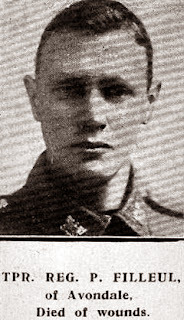 Robert died of wounds received in the Ploegsteert Wood, Flanders, 27 March 1917. Gunner R J Willoughby (died of wounds) was well known in Avondale. On the outbreak of war he was put on guard duty at the fort, but later joined the 9th Reinforcements, being attached to the artillery. His parents reside at Canal Road. Avondale. Hi, Thank you for your most informative blog. Robert Willoughby is my Great Uncle, and like my father I carry the name Robert also (though the name in our family is as old as the Willoughby family name). Robert's younger brother Walter later married one Murial Dickey of New Windsor Road, who also lost two brothers to WWI (one at Gallipoli and the other from the effects of Mustard gas on the Western front) I 'm not sure whether any of the Dickey family attended Avondale Primary, I think they were home schooled. Three generations of Willoughby's have attended Avondale Primary. I had no idea the roll of Honour Tablet existed till now. Thank you for posting information about it, I shall have to visit and see it. You have made my day - thank you! The Dickey family arrived at Avondale after World War I, hence why the sons aren't on any Avondale rolls. His childhood guardian while at Avondale School was W Alfred Lilley of New Windsor Road. He is recorded as coming from Nelson Street, and Tim was only in Avondale School for Standard 4, in 1901. His father was John Thomas Lilley, a storekeeper at Henderson in the 1880s, who died at Onehunga’s Railway Terminus Hotel 13 June 1892. His mother was Alice Christina Lilley (remarried, became Mrs Greenway). He was also two years older than the school roll has noted, born in 1887 rather than 1889. 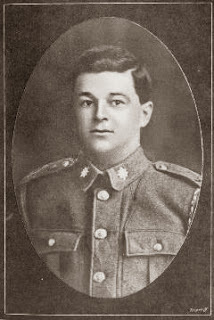 Tim Lilley worked as a currier before enlistment with the 15th Reinforcements Auckland Infantry Battalion, A Company in 1916, and died of wounds on 25 August 1918 in France. He’s also on the Oddfellows roll of honour. Herbert was grandson of John Samuel L Cox, rates collector, dog registrar and clerk for the Whau Highway District (later Avondale Road Board) from c.1877 to 1892. J S L Cox’s son James Thomas G Cox married Mary Alice Armstrong (from Park Farm, Maunu, Whangarei) in 1890. Herbert was born in Whangarei in 1891. He and his younger brother Fred Cox were in Waterview, possibly after the death of Mary Ann Cox, Herbert’s grandmother, to at least early 1898, but not in a standards class at Avondale School — in May 1898, the family went to the Waikato. By 1915, when Herbert enlisted, he had been living at the family’s home at Balmoral Road, Mt Eden since 1910, and was working as a clerk for the Auckland Education Board in Shortland Street. He had already served 4 years with the A Battery Field Artillery, reaching the rank of sergeant, under compulsory military training. He stood 5 feet, 11½ inches tall. By March 1916, he’d been promoted from gunner, to corporal, to sergeant, then 2nd Lieutenant with the 8th Reinforcements, Field Artillery. He died from wounds received in action in the field in France 23 September 1918. 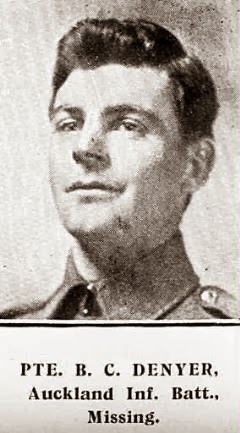 Second-Lieutenant Herbert W Cox, reported killed in action on September 23, was the eldest son of Mr J T G Cox, inspector of schools, Balmoral Road, Mount Eden. He was educated at the Auckland Grammar School and the University College, and prior to enlisting he was engaged in the treasury of the Auckland Education Board. He left New Zealand with the eighth reinforcements, and was attached to the artillery. After serving a few months in Egypt he proceeded to France, where he obtained his commission. He was attached to the Fourth Howitzer Battery of the Third Brigade when he met his death. A brother, Lieutenant F G Cox, who lost the sight of an eye at the Somme, is expected to return in a draft due at an early date. You've put in some SERIOUS effort on this one! Hearty congrats for keeping these lads alive. Excellent stuff Lisa! I know how time consuming [and emotionally draining] all this type is research is !!!!! If you have a look, Sandy, you'll see they've already included the roll and surrounds -- Bruce Comfort found my earlier blog post on the memorial outside the RSA around 2010. The ones who don't have the roll on their site is Cenotaph -- you might like to let them know, so they can fill in their gap and make corrections? Cheers! Ohhh! I must have been looking at another pin or something cos i didn't see it. Really? Well, it seems that someone "collected" the Oddfellows roll in the same RSA in 2011, and meticulously associated every name (with one error) right through the Cenotaph database. Did the same with the wee St Judes plaque -- but missed the marble roll. My info's out there online now (the Oddfellows one will follow soon), and I'm flat tack as well. If the Armoury want the info, they can find it. So, that makes two rolls in Avondale, one at Thames, and most likely on the walls at the Auckland Museum. Good to know he's well-remembered. Thanks, Althea. Robert Willoughby is my Great Uncle, and like my father I carry the name Robert also (though the name in our familiy is as old as the Willoughby family name). I'm so pleased to hear from you! Many thanks for the additional info -- I'm always keen to keep adding stuff to the story behind each of these names. I'll add your comment to the body of the post - Cheers! Both Robert and James (Dickey) would not have attended Avondale Primary, as by the time my Great Grandparents purchased the homestead on New Windsor Road, both were in their mid to late twenties, and the youngest boy Sam would have been 17-18 at the start of WWI. I do know the three boys did attend school, I have a copy of an Inspector's report of the Te Matai Road School (Te Puke) 1903, and Robert was 15 at the time. Both Robert & James are on the new Te Puke WWI Roll of Honour unveiled in April 2012, as well as the the wall in the Hall of Remeberance in the Auckland War Memorial Museum. I recall my Grandmother (Murial Willoughby nee Dickey) telling me that they were at New Windsor Road by the time they found out about Robert's death at Gallipoli (KIA December 1915). Most definitely, my Great Grandmother Emily Ellen Dickey (Nee Richards) was at New Windsor Road, when she passed away due to the influenza pandemic in 1918. She was interred at Waikumite Cemetery. Later in 1921, James was buried with his Mother, and later (1994) we interred my Grandmother's ashes there also. Robert Dickey snr bought the former Astley property at New Windsor in 1918, and the address on Robert Dickey jnr's military file for his father as next of kin is Te Puke (as at August 1914), only changing to New Windsor when they were sorting out where to send Robert's medals in 1921. So, this would be the main reason why there are no Dickey family members on Avondale rolls of honour, and I haven't included them on the greater list (around 200 names so far) of those associated with Avondale. The 1915 Wises Directory shows a Robert Dickey in Tamaki East, and the title for the New Windsor property gives his address as Penrose. Could they have been somehow renting the property from the Lamey family of Morrinsville? They owned the New Windsor property from 1907.